On Tuesday, Arkansas voters overwhelmingly approved Issue 5, a ballot measure that will raise the state’s minimum wage from $8.50 to $11 by 2021. The vote is expected to raise wages for some 300,000 workers throughout the state. The measure received a staggering 68 percent of the vote in a state that Trump carried by more than 60 percent in 2016. Arkansas wasn’t the only red state where workers saw a win last night. Missouri’s Proposition B, which will raise the state’s minimum wage from $7.85 to $12 by 2023, passed with 62 percent of the vote. The measure will lift pay for more than 600,000 workers. Missouri’s wage hike comes just three months after its electorate overwhelmingly rejected a right-to-work law at the ballot box. The effort to put Proposition B on the ballot was led by Raise Up Missouri, a group that secured large donations from the the social welfare organization Sixteen Thirty Fund and the Black Progressive Action Coalition. The measure was also backed by a number of labor groups, including the SEIU, Jobs with Justice and the AFL-CIO. They were opposed not only by the state’s legislature, but also by Missouri’s Chamber of Commerce and Associated Industries of Missouri, the state’s oldest business association. 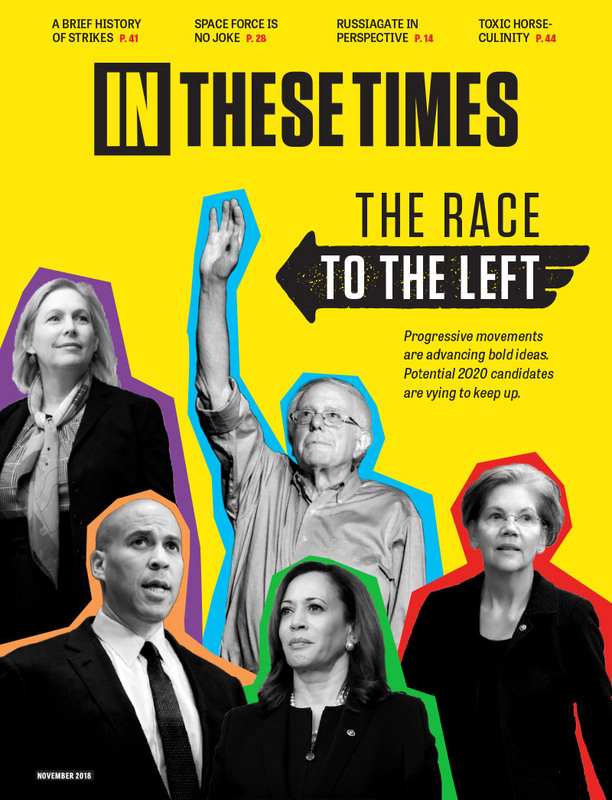 In Arkansas, Issue 5 got a boost from the Fairness Project, a progressive DC-based organization that coordinates with local groups to push economic ballot initiatives. The local fight was led by Arkansans for a Fair Wage, in partnership with a number of labor groups (including the AAUW of Arkansas and AFSCME Local 965) and local businesses. Arkansas activists fought a grueling uphill battle. After securing over 84,000 signatures, they had to go up against Attorney General Leslie Rutledge, who had refused to certify any of the 70 proposed ballot proposals sent to her over the last two years. Rutledge was ultimately ordered to take action by the state’s Supreme Court. Arkansas’ ballot question predictably faced strong opposition from local corporate interests, including a pro-business group called Arkansans for a Strong Economy that sued in an attempt to keep it from reaching the ballot. That group is led by Randy Zook, head of the Arkansas State Chamber of Commerce, the lobby for big business in the state. Zook’s committee claimed that the canvassers’ signatures contained a multitude of errors and shouldn’t have been validated by the state. A statement put out by the organization to coincide with the lawsuit quotes Montine McNulty, the CEO of the Arkansas Hospitality Association. “Unfortunately, a mandatory increase like the one proposed may wind up costing jobs, increasing prices, or resulting in reduced hours for workers, as many of our small business owners will struggle to stay afloat,” McNulty said. The lawsuit was rejected by the Arkansas Supreme Court last month. The Arkansans for a Strong Economy statement makes no mention of the fact that the state voted to gradually raise the minimum wage as recently as 2014. According to a study by the National Employment Law Project (NELP), that vote led to strong economic growth for Arkansas and the state’s lowest unemployment rate since the U.S. Department of Labor began its state unemployment data series in 1976. “Arkansas’ experience confirms the more than 25 years of extensive economic research overwhelmingly concluding that states can increase their minimum wage without reducing employment,” the study reports. The NELP has also published a study on Issue 5’s potential economic impact. It estimates that last night’s vote will mean a raise for almost 1 out of every 4 workers in Arkansas. In 26 Arkansas counties, 30 percent of the workforce will see a pay increase. All of those counties are outside of the state’s biggest cities, which means that some of Tuesday night’s biggest winners are the residents of the state’s small towns and rural communities. Despite its huge margin of victory, the momentum of Issue 5 seemingly didn’t do much to shift Arkansas’ political landscape. Democrats were most optimistic about the state’s 2nd congressional district where the incumbent Republican French Hill faced Democratic challenger Clarke Tucker. Hill opposed raising the minimum wage in 2014 and opposed Issue 5. "As I have said in the past, I do not support raising the minimum wage,"said Hill in a recent statement, "Raising the minimum wage costs jobs and opportunities to start a career, particularly for those entering the workforce or trying to get their first job.” Hill won his election with more than 50 percent of the vote. Arkansas’ GOP Governor Asa Hutchinson (who called the hike a “job killer”) also cruised through an easy reelection. It remains to be seen what actions the state’s conservative lawmakers might take to impede the gradual hike. Currently, Arkansas’s minimum wage is scheduled to be lifted from $8.50 to $9.25 an hour in 2019; $10 an hour in 2020, and to $11 an hour in 2021. Missouri’s is set to go from $7.85 to It will then increase by 85 cents every year thereafter until it hits $12 in 2023. According to studies, the majority of the raises will go to women. Low-wage workers in Arkansas will make $400 million in additional wages and Missouri workers will see an increase of $870 million.